Many people have questions and concerns about various aspects of their pet's anesthesia and surgery, and we hope this information will help. It also explains the decisions you will need to make before your pet's upcoming surgery. What makes anesthetia and surgery as safe as possible? The first component for a safe anesthesia and surgical event is the physical exam. We do a physical exam on your pet before administering anesthetics, to ensure that they are healthy enough for anesthesia. We may also adjust the amount and type of anesthetic used depending on the health of your pet. The handout on anesthesia explains this in greater detail. Pre-anesthetic blood testing is another very important component for reducing the risk of anesthesia. Every pet needs blood testing before anesthesia and surgery. Even apparently healthy animals can have organ system problems that cannot be detected by physical exam alone. If there is a problem, it is much better to find and address it before it can cause anesthetic or surgical complications. Animals that are found to have minor dysfunctions will handle the procedures better if they receive modified anesthesia and supplemental medications during surgery. If serious problems are detected, surgery likely will be postponed until the problem is addressed and managed. We offer varying levels of pre-anesthetic blood testing before anesthesia and surgery, which we will go over with you during the pre-surgery consult. Our doctors prefer more comprehensive screenings, because it gives them the most information to ensure the safety of your pet. For geriatric or ill pets, the more thorough blood tests as well as electrocardiograms and/or x-rays may be required before anesthesia and surgery. 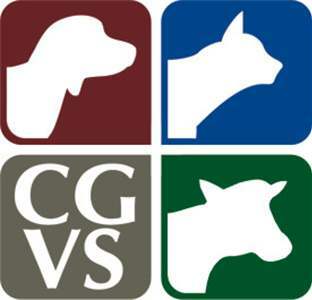 All anesthesia and surgery patients are monitored during the procedure by direct observation by our certified veterinary technicians and assistants and with anesthetic monitoring equipment. Various vital parameters including heart rate, respiratory rate, blood pressure, oxygen levels, end-tidal carbon dioxide, and electrocardiogram can be monitored while your pet is under anesthesia. Surgery is best performed on an animal with an empty stomach to reduce the risk of vomiting during and after anesthesia. You will need to withhold food starting from 6 pm the evening before surgery until admission in the morning. Water should remain available for the pet until the morning of surgery. Depending on the type of procedure or doctors preference there may or may not be external sutures. For many of our surgeries we use non-absorbable external skin sutures or staples. For some surgeries, we use absorbable sutures underneath the skin. These will dissolve on their own, and do not need to be removed later. With either type of suture, you will need to keep an eye on the incision for swelling or discharge. Most dogs and cats do not lick excessively or chew at the incision, but this is an occasional problem that you will need to monitor for at home. If there are skin sutures, these are usually removed 10 to 14 days after surgery. You will also need to limit your pet's activity level for a time and no bathing for the first 10 days after surgery. Post surgical care handouts are available and go home with all surgery patients. Anything that causes pain in people can be expected to cause pain in animals. Pets may not show the same symptoms of pain as people do; they usually don't whine or cry, but you can be sure they feel it. The type and amount of pain medications needed for your pet will depend on the surgery performed. Major procedures require more pain relief than procedures involving minor lacerations. Pain medications not only make you pet more comfortable, but also control swelling and speed up healing of the surgery site. All surgery patients are given pain medications prior to the surgical procedure to help control post-surgical pain. Local anesthetic medications are also used when applicable. All surgery patients receive pain medications while in-hospital and are prescribed several days of pain medications for home use after the surgical procedure as needed. While your pet is under anesthesia, it is the ideal time to perform other minor procedures, such as dentistry, ear cleaning, or implanting an identification microchip (HomeAgain). If you would like an estimate for these extra services, please call ahead of time. This is especially important if the person dropping the pet off for surgery is not the primary decision maker for the pet's care. When you bring your pet in for surgery, we will need 5 to 10 minutes of time to fill out paperwork and make decisions on the blood testing and other options available. When you pick up your pet after surgery you can also plan to spend about 10 minutes to go over your pet's home care medications and other needs. We will call you the night before your pets' scheduled surgery appointment to confirm the time you will be dropping your pet off and to answer any questions you might have. In the meantime, please don't hesitate to call us with any questions about your pet's health, anesthesia or surgery.